Vader could not keep in this form any longer- it was weak, both he and his Master knew. He had only been using this body for pleasure, for dragging himself back- but Sith Lords lived in the present, and died in glory. No Sith had ever died in peace, and died... happy. Vader heard the old voice of Obi-wan Kenobi probing the back of his mind, "Have you realized the values of the Dark Side are so hollow?" Claws scraped the metal coffi- box, containing his true form and maintaining its coma-like state. "I am sure. I have made the right decision. This is what I want." He undid a latch on the lid, and opened the coffin, gazing down at his form. There would be pain, he knew. The breathing, done for him, constant and steadfast. The vocoder allowing his voice to be heard, for him to roar. The mask concealing his hairless form, the naked throat where his mane had been burned off. He pressed a button on the inside of the box, watching arms move inside the box, lift the veil off the face below him, and bore his eyes into his own face. Its skin was a pasted pink, with a white tinge. Its skin caved in on the right side of its face, as if the rock and shattered and melted its skin there. No, he recalled, summoning the memory. That's that side of your face you laid on the shore when you were too weak to move. His eyes trailed to the gap in its skin, on the top of the head. An error in the reconstruction surgery. He thinks, his eyes closing for a moment, tail flicking. You will have no mane. No tail. You will lose the things you so desperately missed. "But I will become death. I will be powerful." That was what a Sith Lord truely strived for- power, and in the case of Darth Vader, to control death. If he was the one to kill someone, then it was he who controlled death, he who decided life. Vader pressed another button, the mask and helmet coming out of the woodworks and placing itself on the head, and the breathing slowly beginning to cycle, and Vader closing the lid. Okay. The weight of the Emperor's gaze fell on his shoulders as his Master entered the Cabin, his robe and his tail sweeping as he moved. The objects in the cabin, the dust, seemed to make way for the Emperor, and Vader lowered his head, bowing to his Master. "You know this to be true. Vader, this body is weak. You must return to your form. Do you not miss what it holds?" "Yes, my master." Vader says, the leopard allowing him to rise, and turning back to the box. Vader shut his eyes tightly, opening the lid again, and reaching in, pressing a paw below the chest box, and sucking in a deep breath. "Like a mountain," The Emperor comments, tilting his head up and smiling with his awful grin. "Very good, Lord Vader. What will you do with this lion?" "I consider killing him, but he is of my species, who are near extinct. And he is too dumb to share information." He hears the Emperor hum. "I see your reasoning. But is this out of weakness? Softness?" "No, Master. It is out of strategy." The Emperor nods, listening, and making his choice. "That is fine. He will be released." They both nod, and they let the lion out the back, after Vader gave a few verbal warnings in their mother tongue, and cutting a deal. The Sith Lords looked at eachother, the air becoming heavy, crackling with electricity and power, the bond between them, snapping and sparking against eachother. "This will be glorious indeed, Lord Vader. A time for power. And a time between us. These children you have collected, Vader, they will be useful to us. I cannot wait for their arrival." The Emperor mused, turning to leave, noticing how Vader straightened up and tilted his head, as if realizing the fate of these cubs. How the Emperor would use them. Vader did not respond, but watched as his Master left him be, and moved out of his Cabin a few minutes later, standing tall. Like a mountain. Unmovable, straight, calm. Darth Vader did all this, presenting himself in his high and mighty way, hands clasped on his belt. The power. The close snugness of his suit, its encompassing feeling, how it hugged him to the point of choking, trapped him, and yet, it was a comfort. It promised fear. It promised power. It promised the tyrant of Darth Vader and his combat skills. The Breathing that his cubs would be born listening to, the mask they would recognize as his face. And Vader, embracing this body. Embracing the Dark Side. Embracing the name- Darth Vader.
? FULL BIO AND TAG ? The post was edited 1 time, last by ANAKIN SKYWALKER ? ( Feb 2nd 2017 ). "You all right there, pal?" Greypaw inquired, trotting to the lion's side. Something was up with the guy, and while the Advisor had not spent a whole lot of time with the other male, something seemed different about him right now. Something in the way he carried himself. Hm. //I'm so sorry I can't match muse! Also, retro to capture. Henry had been rather happy lately. He had Attie and that had improved his mood greatly, even more than being away from Hyde. He has never thought someone would be able to do that but the veteran had been able to do just that. This to be said, he was walking about Windclan with a light smile on his maw. Perhaps he would try to find the other man some flowers while he was out looking for herbs today. 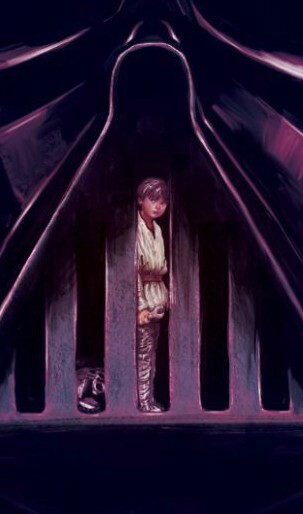 His mind was lost in these unexpectedly pleasant thoughts when he suddenly noticed the large figure by Vader's door. Initially panic washed through him, as he wasn't expecting the other to have returned to his body and therefore he didn't immediately recognize him. He would hurry over, to make sure this wasn't some sort of threat (although what he would have done if it was, he wasn't certain). However, he would relax slightly when he realized this wasn't a stranger at all. Still, he looked towards the lion in a slightly cautious way. He knew Vader could hurt him in whatever form but seeing the other man loom over him once again was, he had to admit, slightly intimidating. "You're, uh, back in your old body. That's nice," He would comment, clearly uncertain of what to say. At first, Moth was terrified. This dude was... weird. But he seemed familiar, oddly. Moth couldn't quite place where she had seen the weird, robotic creature before. His smell was distinct, but Moth was sure that she noticed something within it. Something very small, but still present. Suddenly, she clicked. This was Anakin, that person who had been causing Atticus' medals to fly around. A sudden jolt of panic spread through the tabby, and she awkwardly froze. Padmè knew this would happen sooner or later. He always wanted more power, that was who he was as a person. It still hurt though, she would miss the close contact with her husband. Padmè didn't say anything, just stared at her husband. Kate had no idea about Vader taking on a different body recently, so she didn't really understand why everyone was staring at him like this. Though either way, she doubted he'd be happy about it, so she very much avoided doing so herself. Kate wasin't exactly buddies with Vader. It wasin't until Jekyll spoke up that she began to question this. "You're, uh, back in your old body. That's nice". The small sized canine shot the deputy a quizzical look. Boy, if Kate had been here to see Vader in his other form, she wasin't sure she'd ever be able to take him seriously ever again. And so, it was probably best she never did. "I could not continue to inhabit the other form." He said, gloves tightening on the belt. "It served very little purpose aside from luxuries." "I cannot deny my natural form, can I, Doctor?" He said, his mask directed at Jekyll as he hinted at their earlier conversation. "But I will be fine." Jekyll would quietly listen as Vader first spoke, nodding slightly (although he didn't entirely understand). He didn't understand why Vader cared so much about being powerful. If he would have preferred to stay in his old body, why not just do so? If Henry had a different body that didn't have awful eye sight and scars from when he'd been burned, he would gladly take it. Still, he didn't seem certain of what to say after this opening statement and would therefore remain silent. However, when the next question was directed at him, he would move his paws in a somewhat uncomfortable fashion, pawing at the ground anxiously before answering. "Um, no, I suppose not," He would answer, though his voice came out rather quiet. "So, then, you didn't want to change back?" He'd then ask, sounding a bit confused. He had assumed Vader wanted his former powers. Now that Padme was pregnant, Jekyll figured he'd want to protect those children, which he would be more fit to do in a stronger body. However, it now sounded as though the lion hadn't wanted to do such a thing. — Jekyll is a simple chocolate Labrador retriever. He is often extremely thin due to his poor eating habits. This becomes even more prominent when he is overworking himself or is incredibly stressed out. He wears brass, circular glasses on a regular basis due to the fact he has very poor eyesight. He also wears a black bow-tie often. When he becomes Hyde, this bow-tie is nowhere to be found. His eyes are a bright green, which shift to brown when he is being controlled by Hyde (in most cases). — major injuries: he has a significant amount of scarring in his leg and has a limp. He has several large cuts on his chest and burns on his legs, although they have started to heal. ★ Can powerplay peaceful or nonviolent actions. A good question from the Doctor, but a stupid question. "I found myself missing this form." He said, looking down at the deputy, holding his head high. He had missed to power, the glory, the energy, dispite the pain that wracked his joints and tested his patience. "It is the natural course of things."